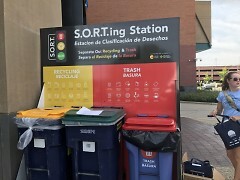 SORT stations are designed to make it easy for users to properly dispose of trash and recyclabes. WMEAC staff say the stations will help build a more educated public. For more information on how to volunteer, visit this link. When ArtPrize 10 begins on September 19, 2018, thousands of visitors and art lovers will descend upon downtown Grand Rapids. These visitors and onlookers will buy food, snacks and beverages to help satisfy their hunger and quench their thirst as they take in the art. The team at West Michigan Environmental Action Council, or WMEAC, wants to make sure all those leftover empty containers are disposed of properly. One way ArtPrize visitors will be able to do so is through S.O.R.T. stations located in strategic spots downtown. This fall will mark the third year the stations have been used during ArtPrize. The idea was created by stakeholders at ArtPrize, the Wege Foundation, the City of Grand Rapids, Kent County, WMEAC, and The Image Shoppe, according to ArtPrize in this blog post. WMEAC often serves as a partner in managing volunteers to work at the stations. 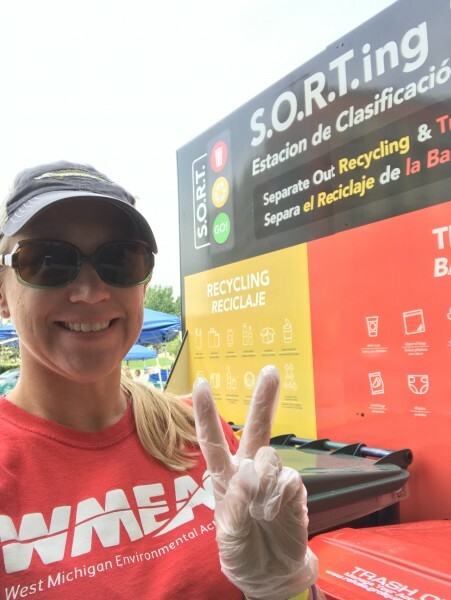 If the waste or recycling is too contaminated at an event, organizers cannot take it, Vander Ark said, and the waste will have to go to the landfill. “Ultimately, we want to make sure it’s good recycling and good compost that we are sending out,” she said. Once again this year, WMEAC and ArtPrize are looking for SORT volunteers. Because of the scope and size of ArtPrize, WMEAC is handling volunteers differently this year, said Ericka Popovich, WMEAC Communications and Community Engagement Coordinator. Volunteers will select their shifts through this system. ArtPrize wants all of its volunteers to know about its sustainability goals, Popovich said, not just the SORT volunteers. Therefore, all volunteers will have more exposure to the stations to better understand how to use them. This will create a more integrated, comprehensive approach, she said. This will create a greater understanding of how to use the stations for all of ArtPrize and helps them better meet their goals, Popovich said. 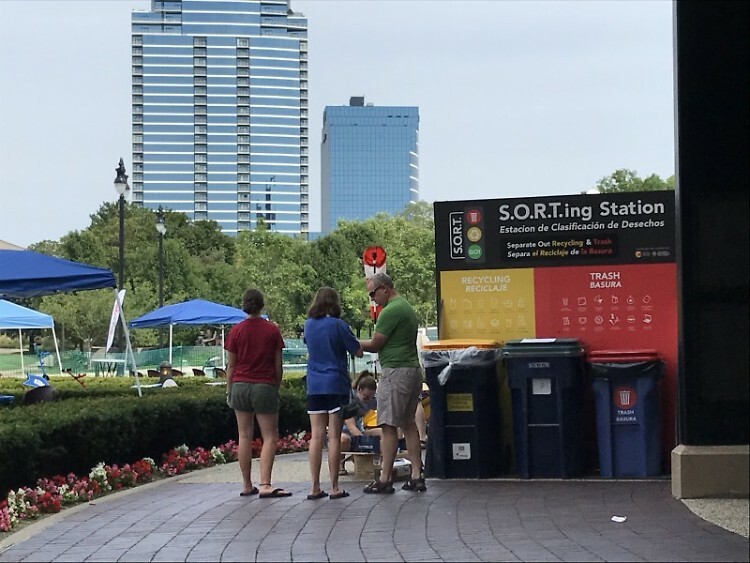 In 2017, there were 238 individuals that volunteered at SORT stations during ArtPrize, according to WMEAC. There were 7.44 tons of recycling; 3.62 tons of compost and 31.13 tons of refuse to landfills. The landfill diversion rate was nearly 61 percent for the stations, Popovich explained. Looking at all the waste produced over the 19 days of the event, the waste diversion rate was more than 26 percent. Overall, the SORT stations help WMEAC further its mission and help build a more educated public when it comes to recycling and waste disposal.